Everyone is encouraged to come visit, worship, and adore the Blessed Sacrament. To make sure exposition can safely take place, there is a need to make sure that at least one person, preferably two, is with our Lord at all times. For those who can make a commitment of regular visits each week, they are responsible to keep their scheduled hour covered each week. If they are unable to attend the scheduled hour they have chosen, they are required to find a replacement guardian. Assistance is available when help is needed to find a substitute. A desire to pray, meditate, and enjoy being in the presence of Jesus Christ. The need to slow down in this busy, hectic, and stressful world. A yearning to know and follow God’s will for them in their lives. No training required. For those who have questions or would like to know more please contact the Adoration Coordinator listed below. If you would like to become a scheduled adorer the time commitment is one hour during exposition hours each week. For the most up to date exposition times visit the worship schedule page. Lorraine Snowman at 770-888-8089 or via email HERE. What are some of the purposes of Eucharistic Adoration? To draw us more deeply into the mystery of Christ’s Real Presence in the Holy Eucharist. To strengthen our relationship with Jesus Christ. 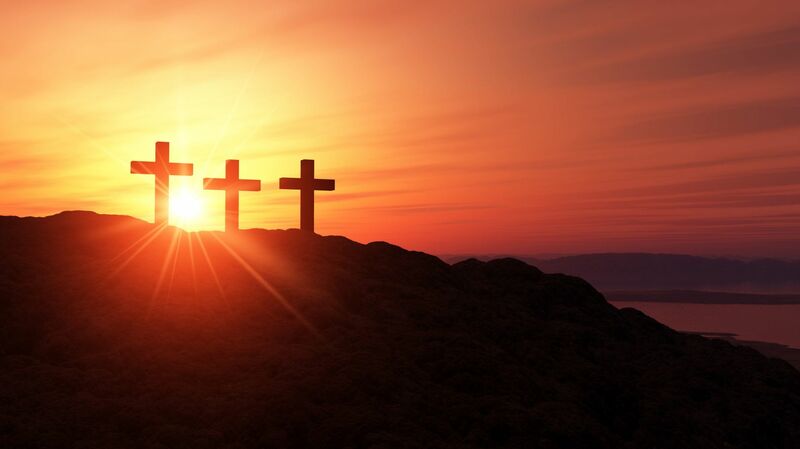 To express our love, gratitude, and respect for Christ our Lord. Everyone! To help maintain a prayerful environment adults are encouraged to accompany any children in their care. When is Eucharistic Adoration available? You can always come adore Jesus reserved in the tabernacle while the church is open. 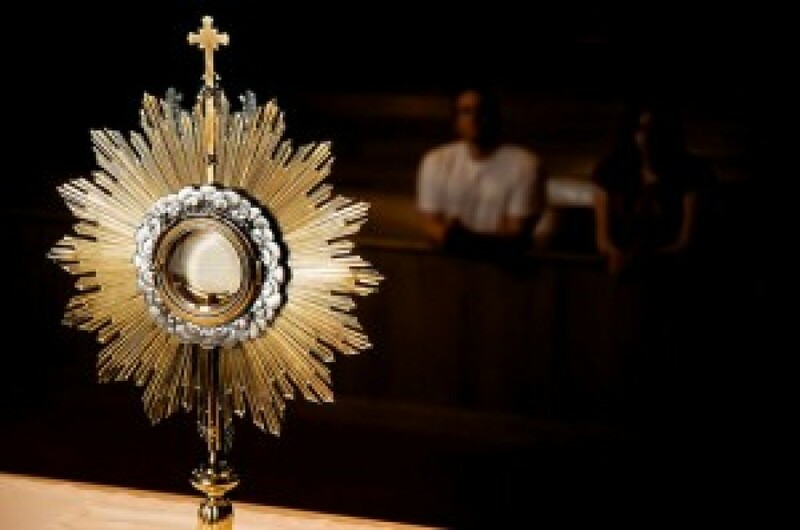 There are also times available to adore Jesus in the Blessed Sacrament while he is exposed on the altar in a monstrance. Please visit the worship schedule page to see the scheduled times for exposition of the Blessed Sacrament for adoration. How many people are needed during adoration while the Eucharist is exposed? At least one person, and preferably two or more, are needed for each hour that Jesus is exposed in the monstrance. The people present who have signed up and commit to a holy hour are not only adorers, but also guardians of the Blessed Sacrament. When two or more people are scheduled at an hour, each adorer is expected to attend that hour each week. However, when one of those adorers is not able to attend their hour, they only need to contact another adorer to ensure that someone will be there and the hour will still be covered. What is required of an assigned adorer? Each assigned Adorer selects one hour during the week. They promise to keep this same hour covered each week. If they are unable to attend their hour, they are required to find a replacement guardian. Assistance is available when help is needed finding a substitute. Which hour should I choose? You should choose an hour that realistically fits into your schedule. The time from 12 AM to 6 AM is the greatest sacrifice for many, but the rewards are even greater. We are always looking for volunteers and substitutes for this particular, very quiet, relaxing and precious time before the Lord. To sign up online please complete the sign up form. If you can be somewhat flexible, the Adoration Coordinator will inform you of the hours of greatest need. Their name and phone number are provided at the beginning of this page. Pray the Psalms or the Liturgy of the Hours. Whether you are praising, giving thanks, asking for forgiveness or seeking an answer, you’ll find an appropriate psalm. The ancient prayer of the Church called the Liturgy of the Hours presents an excellent way to pray through the Book of Psalms throughout the year. Meditate using Scripture. Choose a passage from the Bible. Read the words and ask God to let the passage speak to you. Pay special attention to anything that strikes you and ask God what He wishes for you to draw from that message. Read the life of a saint and pray with him or her. Most holy men and women have had a great devotion to Our Lord in the Eucharist. Therese of Lisieux, Catherine of Siena, Francis of Assisi, Thomas Aquinas, Peter Julian Eymard, Dorothy Day. Mother Teresa of Calcutta and Baroness Catherine de Hueck are just a few. Read about them and pray their prayers before the Blessed Sacrament. Ask for forgiveness and intercede for others. Think of those who have hurt you and request a special blessing for them. Ask God to forgive you for all the times you have neglected or hurt someone else. Bring before the Blessed Sacrament all those who have asked you to pray for them. Ask the Lord to address their concerns. Pray a devotion like the Divine Mercy Chaplet or the Rosary. St. John Paul II reminds us, “…is not the enraptured gaze of Mary as she contemplated the face of the newborn Chris and cradled him in her arms that unparalleled model of love which should inspire us every time we receive Eucharistic communion?” (The Church and the Eucharist, Ask Mary to join you as you gaze on Christ in the Eucharist and as you pray the Rosary.